No one has added a helpful site for this 2000 Accord problem yet. Be the first! When the problem occurred I inspected the transmission fluid and was advised to replace it, saying that might help. I went ahead and removed the old transmission fluid and found small metal pieces (sand like) in the fluid and around the nut holding the fluid under the car. This makes me think the transmission is wearing out from the inside and the gears kick in hard mainly on the second one. never had a problem with my honda until about 120,000 miles the gears slip in 1st and 2nd and the d4 light is flashing. we at one time owned three 2000 honda accords. All three had the same transmission problem. One car was totaled, one we sold as is, and the last we still own. It is always the same problem of the gear from first to second pausing then shifting with a lurch or jerk. We were wondering if the problem is something smaller than a total transmission repair. Transmission solenoid was suggested as a possibility. Does anyone know if there is an answer other than total repair? 60,000 miles and transmission is failing. Have been quoted $1500.00 by a family transmission man who is not sure he wants to try to fix it....may have to go to dealer. Researched the problem online and lo and behold there are tons and tons of transmissions failing on Honda's!!!! Need information fast about some type of extended warranty that I do not remember getting???? Update from Nov 2, 2011: Contacted American Honda Corporation today. A very polite woman took down all of my concerns and thanked me for my loyalty to Honda, since this is my 2nd Honda and only my 3rd car, she put me on hold and came back to tell me that after researching my vehicle it was apparent that I was outside of the "extended warranty" of 7 years / 100,000miles which ever one came first. I told her I never got the recall notice on the transmission and she corrected me to say "extended warranty" which I told her was just fancy language for a problem that hundreds of loyal Honda owners are experiencing and that Honda is obviously aware of but not addressing. Called the dealership that I bought the 2000 Honda Accord from brand new and the first thing out of the service managers mouth was whether I had considered if I even wanted to put any money into this particular car. Pretty much made it clear that at 62,000 miles I should NOT be in the market for a new car. Considering taking it over for the little diagnostic test and see what the dealer has to offer, but my gut tells me that is a complete waste of time. 62,000 miles and the transmission is FAILING!!! So much for loyalty. This is my first car that I obtained in May and since I bought it I've had multiple problems with the car. The belt just broke and the pulley froze on the alternator/ac belt so that has just been replaced. However, the main issue is the transmission shifting hard from first to second no matter how slowly I accelerate. I've been doing research and apparently this has been a widespread problem. I do not understand why Honda has not been convicted of providing faulty transmissions in these cars. To fix this issue I've heard the price range from $2,300 to $6,000. I JUST got a job and I have next to no money left after my schooling. I have no way to pay for the repairs and yet Honda is allowed to make millions off of ripping off consumers. Stay away from Hondas after 1999! I bought a 2000 new Accord in 2000, the car has 67000 miles. I notice more than a month ago that the transmission jerks from 1st to 2nd gear and the "Check Engine" light was on. Took it to the dealer and he read a P740 code and said the oil level was good but it was burned. The dealer recommended changing the transmission for $4,000 dollars. I filed a complaint to Honda America; they told me I did not have recourse because I did not change the transmission oil at 72 months even though the oil change is ‘recommended” at 90,000 miles. I disconnected the battery to clean a pole that had sulfate built up. The “Engine Check” light went away and never came back. I inspected the oil and it is clear and it does not smell burn. The Honda dealer colludes with Honda America. The jerkin problem is still there. I want to know if any new class action lawsuit is being filled against Honda, I even want to do it on my own. Has anyone had any success suing them on their own? Is there an email, twitter or facebook campaign making the public aware of this problem? DO NOT BUY HONDA they are over priced and they do not stand behind their product. I am never gonna buy Honda cars. I have two Honda and two Toyotas. Toyota Camry has 180,000 miles and no problems. Better buy Ford or GM cars. I was reading that there was a class action settlement to have this repaired. My dealer contacted Honda for a good will repair, but Honda said no. Any ideas to help? I bought this accord for my 16 year old for a safe dependable first car. This was bought from a couple that had it maintained impeccably. After my daughter told me her car was "jerking" I drove it and sure enough it was "jerking". After getting on line, it was obvious that Honda has significant complaints about transmission issues. I don't believe I should be held liable for the repair or replacement. I don't feel she is safe in this vehicle at all know and won't let her drive it. I spoke to the local Honda dealer about this and all he could tell me was that I was out of this hands and they would be needing to replace the transmission and I would have to pay for it all. Absolutely absurd that Honda will not stand behind their KNOWN problems. I owned a 2000 Honda Odyssey that transmission slipped in, had solenoids changed, transmission fluid, filters, and all that jazz done, never fixed the problem so I sold it. To my stupidity I bought a 2000 Honda accord V6 3.0. Beautiful little car, but didnt have a week and the stupid thing started revving up and slamming into gear. I do not want to put in a transmission because eveyone says the replacements are just as bad as the one thats in it. HAD A FEELING THE TRANSMISSION WOULD GIVE OUT BECAUSE OF THE EXTENDED WARRANTY I RECEIVED, BUT WHAT COULD I DO? THE TRANSMISSION BUSTED PAST THE 7 YEAR MARK AND PASTED OVER 100,000 MILES SO THE EXTENDED WARRANTY DOESN'T COVER IT. I WAS PLANNING ON PAINTING IT AND SELLING IT THIS MONTH, SERIOUSLY WHO WANTS TO BUY IT NOW? I truly valued Honda's quality and am disappointed to be faced with this type of problem. I have put the time and money into caring for this car according to the recommended service plan and feel like I have wasted my money. The fact that there is no "repair" for my transmission defect is disappointing, to say the least. My image of Honda is tarnised to the extent that I have decided to purchace from another fleet. We exclusively drive Honda's for their reliability. Of all the Honda Accords, this particular model has been the most problematic. Shortly after purchasing this Honda Accord, the transmission failed and the transmission was replaced under a Honda recall notice on the transmission. We faithfully take the car infor regular service and maintenance at my local Honda dealership and am always told the car is in perfect condition. We took it in this morning and stated that the car is jerking and seems to lunge on its own. The quote to replace the transmission was $6,000. The replaced transmission was not covered under the recall because the replacement transmssion is not part of the recall. Fortunately, because we have purchaed all our Hondas at this dealership, and service both of my Honda Accords at this dealership, we were able to get the dealership to cut the price 50% for a new transmission with a three year warranty. We checked at a local transmission shop who quoted $3500 for a rebuilt transmission. With all these complaints against Honda for the faulty transmission, sems like it's time for Honda Accord owners to band together and file a class action suit to get our money back. i bought my honda accord from an older lady 2 yrs ago. she bought it new loaded with all extras. she took wonderful care of it. i am also one of those that take extra care of my autos. in 93 i purchased a new mustang 5.0 gt mustang conv 5 sp. i still own it never had a problem. and it looks new. thats to show u how i take care of my autos. 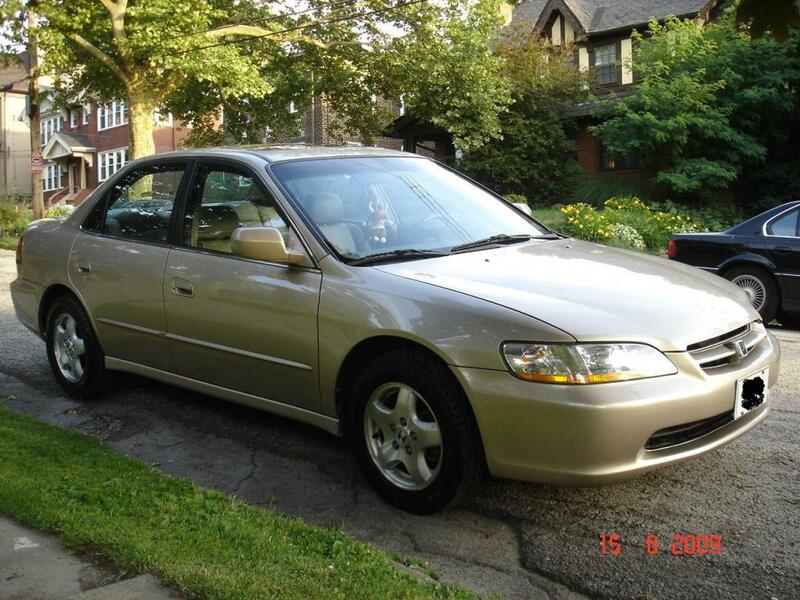 I bought a Honda Accord 2000 SE with 80K three months ago for 5000. I thought I got a good deal. A month ago I started to noticed the car jerking in the morning. I took it to a mechanic and $500 later said it was the solenoid. Car kept jerking almost to the point of whip lash - I took it to another mechanic and another $500 later, I learn that I have the "kiss of death" If I replace the transmission, it is going to cost me $3000 and I paid $5000 for the car! Not all of us can/want to get into a new car. I though Honda was a better car. I was wrong. I would have never considered another brand, but now I guess Nissan and Toyota are looking pretty good. Oh well! i called honda for they had extended my warranty for 100,000 miles but also within 7 year of manufacture, so as i didnot dirve more and i did not reach 100,00 within 7 year now they cannot cover the cost because it is laps 3 year. even they new that the problem is from there poor workmenship quality they maintain during manfucatring car. I would like to find out how widespread the issue is. somewhere I read there was a class action lawsuit. My Accord 2000 has only 49k miles on it, bought it new in August 2000, and have perfect maintenance record. As you can see from the picture which I took yesterday, it is very clean and looks very new. I took the pictures yesterday because I was planning to sell it later this summer. Man, what do you know, this afternoon, the car started behaving weirdly. While I was driving, the D4 indicator was flashing,&#12288;I heard some noise from outside, at first I thought it was just some lawn mower or distant construction noise. The door open signals were also turned on even though all the doors were closed. I could feel the jerks of the car when I stepped on the gas and for a couple of time I even lost power as the car jerked forward. My office is only about 15 minutes from home. But by the time I got home, the problem got worse and the "check engine" was flashing and stayed on even after I restarted the car a couple of times on my way home. I vaguely remembered getting a letter from Honda some years ago about a recall of something whose symptom was a flashing gear light. So, I immediately searched on the web and found so many others were having the same problem. I then called American Honda, but was told that there was an extended warranty about the transmission and torque converter problem, but it was 7 years or 100k miles, whichever comes early. The rep told me in my case, even though I have only 49k on my Accord, the time has passed, so I would have to shop around to fix the transmission on my own. She told me it may cost $3000-$5000! Oh, my God! I paid $24k for the damn car, and now have to buy a new transmission!? After more complaints from me on this ridiculous situation, the rep told me to first go to the local Honda dealer for a diagnosis, which I will have to pay. She cannot help me but I asked for a case number and promised to call back about it after I go visit the dealership tomorrow. I'd NEVER ever consider any Honda cars again if they make me pay for the transmission. Last month, I even recommended a friend to buy a new Accord. Boy, things can go downhill fast. If I had to pay for Honda's defective products, they can be sure of not getting any business from all my family and I would go out of my way to teach all my students each year in my classes that how Honda lost its customers like me because of the poor service/product. Well, I'll see what happens after I visit the dealership.